As I lay in bed this morning, the sun was coming through my window and the birds were chirping. Just a beautiful morning from the start. I was thinking about motivation and what exactly motivates me to get up, try my hardest, be my best. It’s funny because on mornings like this, I am extra motivated. I’ve realized I’m motivated by sunshine, my kids (who are sleeping soundly on this beautiful morning), my husband and my self-confidence. All of these things work together to keep me going! Summer is winding down around here. My boys start school in one week from today. Our summer has been busy and fun-filled, and my workouts have struggled somewhat. I haven’t totally dropped the ball, but my routine is definitely not what it was a few months ago. I’m okay with that! Spending time with my family is worth it to me, but I’m realizing that I’m ready to get back at it, again. My body is ready for consistency and change! 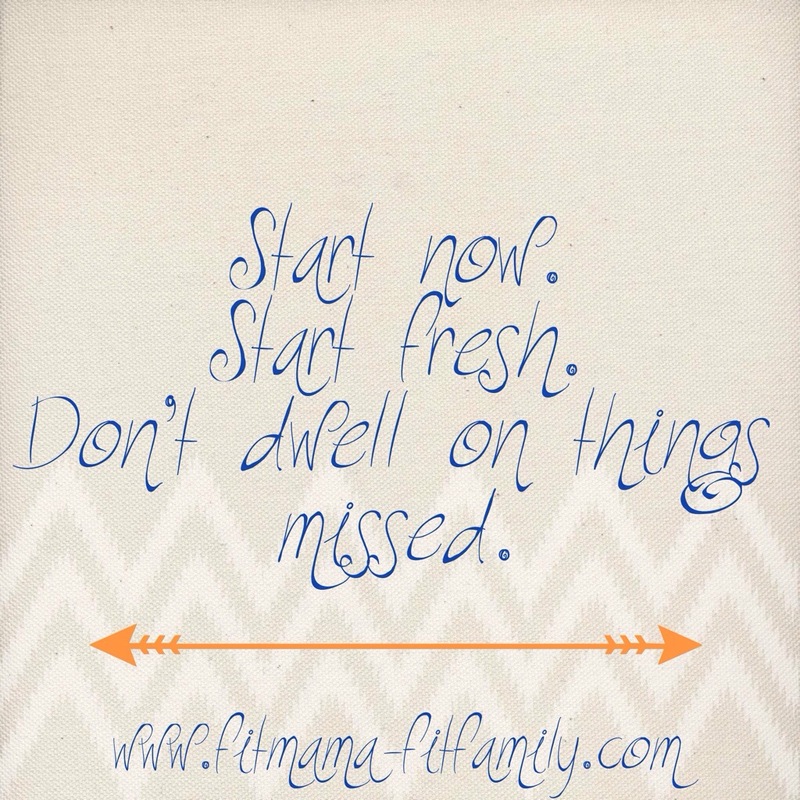 I’m recommitting today to start fresh after the summer craze. I’m not gonna lie, it won’t be easy. I like treats and I like sleeping in. Haha! It will take some serious will-power to get myself out of bed before any of my boys little eyes have opened, but it’s what I’m going to do. Don’t let yourself think for a minute that because you got off track for a bit that you can’t get right back on and keep going! It’s never too late to change directions. Don’t worry about the treats you ate, the workout you missed or the mornings you slept. Start now. Start fresh and be happy with where you are!